Davina McCall gets in a mess, and Jimmy Carr is an unexpected guest at a funeral. 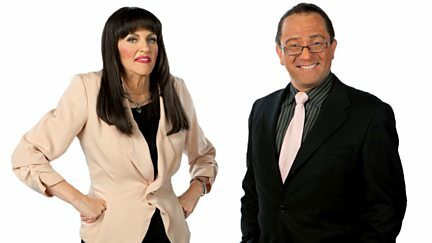 Jon and Debra deliver impressions of Jennifer Aniston and Katie Price. Jon and Debra deliver impressions of Ross Kemp, Elton John and Michael McIntyre. Jon and Debra tackle characters including Jo Brand, Fabio Capello and Pat Butcher.